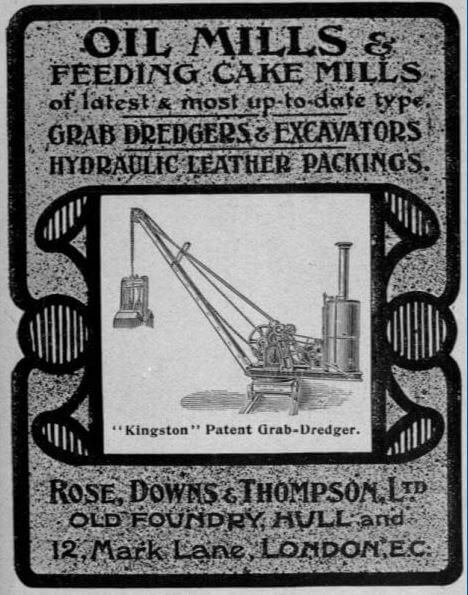 Rose, Downs and Thompson of Hull, UK was a manufacturer of plant for processing edible oils for making animal feeds and was also involved in supplying dredgers and excavators. 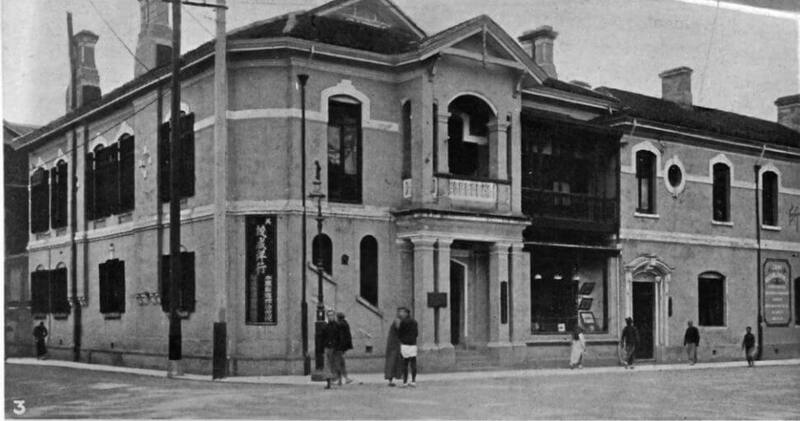 This company biography suggests that in the first decade of the 20th century the company opened branches in bothShanghai and Hong Kong. 1874 Christiana’s grandson, John Campbell Thompson, joined the partnership. 1870s James Downs visited America, returning with the plans for new machinery in the form of Anglo-American presses; these could press larger numbers of oil cakes than before and the firm soon became the principal British firm for oil mill machinery. Most of their customers were the seed-crushing firms. 1894 Catalogue of Oil Mill Machinery. 1910s The firm expanded, buying a gear wheel firm in Leeds and opening branch offices in Shanghai and Hong Kong. 1914 Engineers, Iron Founders and Boiler Makers. Specialities: Oil Mill Machinery, Makers of the Kingston Dredger. Employees 350. 1939 Robert Apsland Bellwood was technical director. Virtual Shanghai Project is a research and resource platform on the history of Shanghai from the mid-nineteenth century to nowadays. It incorporates various sets of documents: essays, original documents, photographs, maps, quantitative data, etc. The objective of the project is to write a history of the city through the combined mobilization of these various types of documents.